Tupac Amaru Shakur, a.k.a. 2Pac, was an American rapper, poet and actor. He is often ranked as one of the greatest and most influential rappers of all time. He was gunned down at the age of 25 in 1996. This fan website is a personal project that allowed me to experiment with my then newfound love for web design and development. 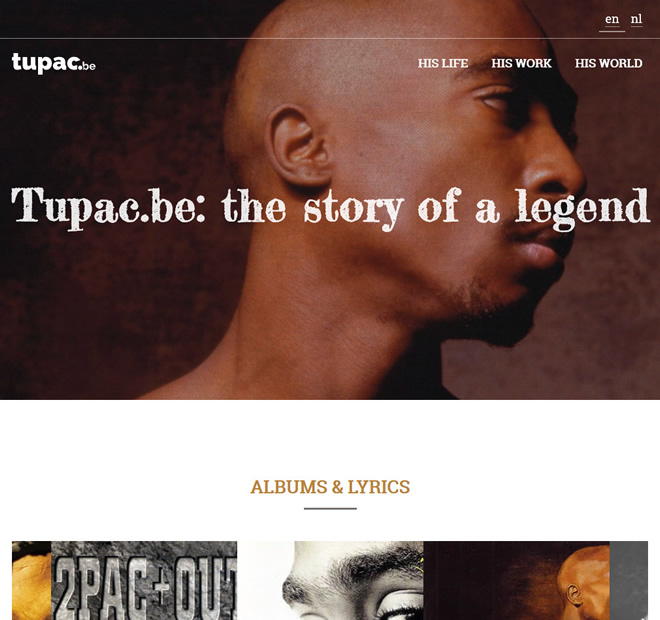 At its peak moment, Tupac.be was not only the biggest and most popular Dutch-language 2Pac resource, but also a highly respected English one. The website underwent a complete make-over (structure, content and design) in 2018.